There’s some rather disappointing news today if you are the owner of a Nokia Lumia 810 smartphone on T-Mobile USA. You may have been waiting to receive a software update that was intended to update the Lumia 810 with 4G LTE support, as T-Mobile stated back in February. However, we have just received news of a real letdown as the Nokia Lumia 810 will no longer be receiving that update. Regular readers with good memories may recall that back in February we reported that T-Mobile executives had pledged a software update that would bring the Lumia 810 LTE connectivity. T-Mobile’s new LTE network was not live at that time but we all knew it was coming and T-Mobile was keen to let everyone know that it would have devices available that would be able to use the LTE network once they were needed. This was widely reported by various tech sites after confirmation from T-Mobile so this was in no way some pie-in-the-sky rumor. We have just learned though from a T-Mobile statement that the Lumia 810 will definitely not receive the update now that would have enabled LTE connectivity. This will no doubt be a real blow to many Lumia 810 customers on T-Mobile as the phone is actually equipped with LTE hardware that just needed a software update to allow its use. T-Mobile’s LTE network was recently switched on in 7 city regions and earlier this year the carrier said it planned to quickly expand to cover at least 100 million residents in the US by the middle of 2013. It seems odd then that now T-Mobile doesn’t have a single Windows Phone handset with LTE support. Of course some customers may have purchased the Lumia 810 before the announcement of a software update but there may also be many customers who purchased it on the understanding that it would become LTE-enabled for T-Mobile’s new network. It all seems rather bizarre and even up to last week we still thought the software update for the Lumia 810 was coming. However the rather short and terse statement from T-Mobile makes it quite clear that the update has been cancelled but doesn’t actually give any reasons why this is so. We think this is a pretty poor show and we’re sure that plenty of readers will agree. We hear from Engadget that they have reached out to T-Mobile asking if any concessions will be offered to those who purchased the Lumia 810 in good faith with the belief that it would at some point be able to be used on T-Mobiles LTE network. However at this point it seems that T-Mobile has not responded. We’d really like to hear your views on this piece of news. 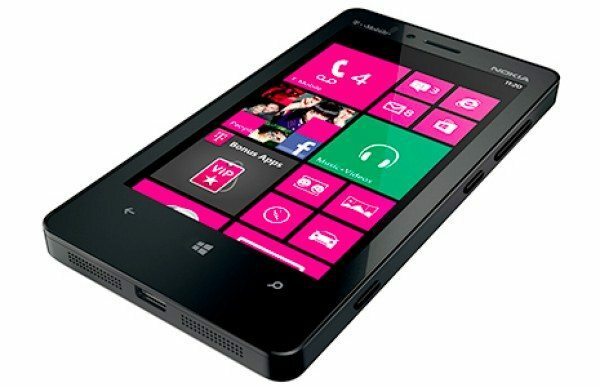 Do you think this is a raw deal for those who purchased the Lumia 810 on T-Mobile? Maybe if you purchased the phone after the news that an update would bring LTE connectivity you feel you should be entitled to a refund? We think this is going to make a lot of people unhappy, and frankly, rightly so. Send us your comments then to let us know how you feel. Add to this.. seems T-mobile has pulled the 810 from the online store. Which is odd..